Over 150 organizations and 59 global leaders including Noam Chomsky( Professor, University of Arizona}, Rev. Jessi Jacson announced a statement requesting peace treaty between U.S.A. and DPR Korea and normalization between the two countries on December 6, 2018. 2018 has been a year of historic change on the Korean Peninsula. The leaders of North and South Korea met three times, and President Trump and North Korean leader Kim Jong Un also held their first summit in Singapore in June. South Korean President Moon Jae-in has invited Chairman Kim to visit South Korea, and President Trump has expressed willingness to meet Chairman Kim in a second summit. We welcome these positive developments for permanent peace in Korea. In particular, we support the April 27 Panmunjom Declaration and the September 19 Pyongyang Joint Declaration signed between the leaders of South and North Korea, as well as the June 12 Singapore Summit Joint Statement signed between the leaders of the United States and North Korea. These agreements lessen the danger of war on the Korean Peninsula and create a foundation for a lasting and stable peace regime. 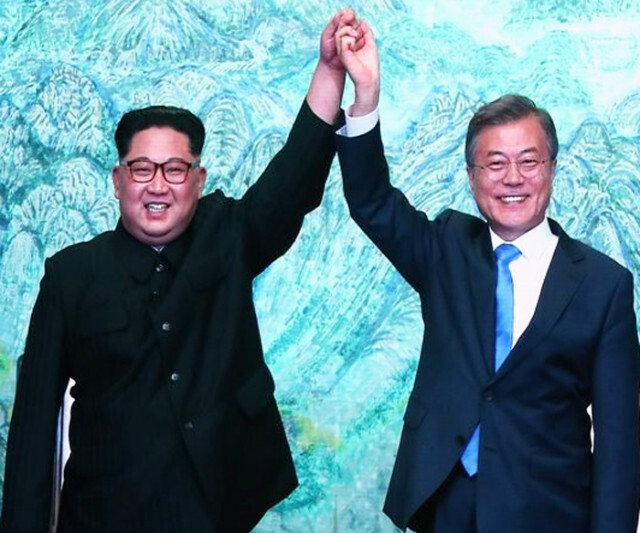 The Panmunjom and Pyongyang Declarations signed between the two Koreas opened the door to family reunions, civil society engagement, and concrete steps towards demilitarization. Likewise, the Singapore Joint Statement emphasized the “establishment of new U.S.-DPRK relations,” away from war and hostility towards normal diplomatic recognition. We applaud the leaders of South Korea, North Korea and the United States, who, on the brink of nuclear war last year, boldly chose the path toward peace. 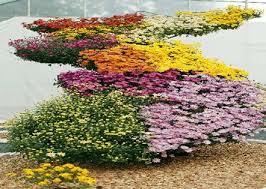 • Returned the remains of fifty-five U.S. servicemen who had died there during the Korean War of 1950-1953. • Temporarily suspended major war drills with the South Korean military. While commendable, this U.S. action is insufficient to sustain the normalization process. During this year that marks the 65th anniversary of the Armistice, South and North Korea agreed to actively pursue trilateral meetings involving the two Koreas and the United States, or quadrilateral meetings involving the two Koreas, the United States and China with a view to declaring an end to the war and establishing a permanent and solid peace regime. 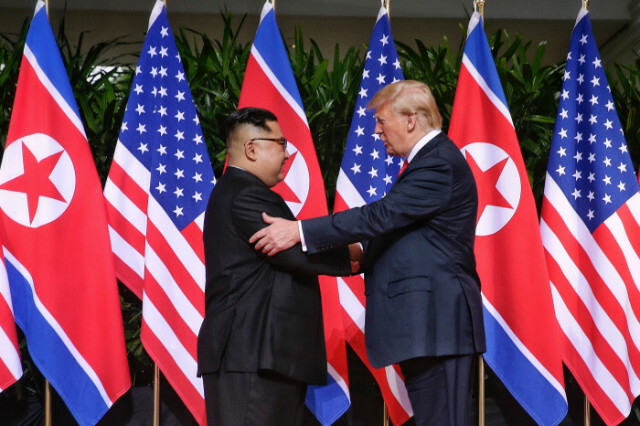 Ahead of another summit with North Korea, the United States should commit to declaring an end to the Korean War and demonstrate a willingness to pursue a formal Peace Treaty. Only a genuine and verifiable Peace Treaty between the main parties to the Korean War and the Armistice Agreement can drastically reduce the risk of nuclear and conventional war in Korea. It is the foundation for lasting and stable peace on the Korean Peninsula. 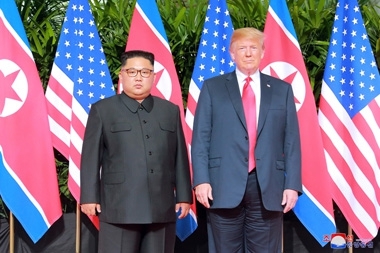 2) Lift broad-based U.S. sanctions against North Korea that harm the most vulnerable and ordinary Koreans as a concrete step toward establishing “new U.S.-DPRK relations.” Further, halt international pressure campaigns to isolate North Korea as this is contrary to the spirit of the Singapore Joint Declaration. 3) Lift the travel ban on U.S.citizens from visiting North Korea. The ban blocks U.S. humanitarian aid projects in North Korea, impedes people-to-people exchanges, and prevents thousands of Korean-Americans, who have family members in North Korea, from visiting them. 4) Establish a liaison office in Pyongyang to facilitate diplomatic engagement between the two countries towards mutual trust and understanding. Liza Maza, Chairperson Emerita, GABRIELA, Women’s alliance Phils.